In Super Smash Bros. Brawl, there were some big developments for solo play. Whoops! (laughs) Maybe I did go a bit overboard. It’s just that Smash Bros. has always been played as a fighting game and I didn’t think it would be possible to make the single-player Adventure Mode a primary form of gameplay. However, I was impressed by how well it turned out. Can you talk about why you were set on developing an Adventure Mode and how you got there? 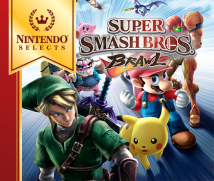 Well, as I discussed earlier, a fundamental idea at the start of development was that this would be the last Smash Bros. title, and that, ultimately, there would be few opportunities for Nintendo characters and major, well-known characters to gather in the same place. So this too was truly a once-in-a-lifetime event, where you had to treasure every encounter. Right. Blessed with such an opportunity, I tried to think of ways we could enable players to more thoroughly enjoy such a rare all-star line-up and, in the end, I pulled a power play. To put it simply, the Adventure Mode is like a stand-alone title offered in the same package. In terms of development work as well, it was like making two distinct games. So, what it shares with the multiplayer mode are the character data and programming for basic movements. Everything else is different, right? Right. We had to change the basic game systems for the two modes. Also, even though character movements are pretty much the same, we made adjustments to things like the speed at which characters run for the Adventure Mode. Well, I can’t help but ask...what possessed you do to all this? I don’t know if I can accurately express my feelings but, I mean, Smash Bros. has received high marks from all over for the fighting pleasure it provides and I felt that merely refining what was already there was too simple and would preclude changes. Don’t get me wrong though, the fighting is more advanced than before. The fighting part being fun is already a given, and if development focused solely on fighting, all people could comment on would have been things like which characters are stronger this time. Exactly. If we did that, things will just shift more to the extreme. Also, I didn’t feel like players wanted us to change the nature of Smash Bros. fighting style, or change the game to a 3D fighting game. Right. The appeal of Smash Bros. is that anyone can take a controller, readily pick up the fundamentals and, within a span of ten minutes, a beginner can sit down, compete with a pro and enjoy some exciting gameplay. There’s no reason to change this, right? Right. That’s why we didn’t fixate on fighting alone, but delved into a new area of development by placing emphasis on the Adventure Mode.